The regular season has come to an end and the Milwaukee Brewers have won a franchise record 96 games. Doug Melvin's all in play has paid off and has set the stage for home field advantage in the National League Division Series. We know the names that played the biggest role in Milwaukee getting here, the Ryan Brauns and Prince Fielders of the world, but what about the forgotten, um, stars. Okay so maybe 'stars' is too strong of a word but, as we hear so often, the baseball season is a marathon - not a sprint. At some point this season a cadre of players who won't have fans buying their jersey, won't be making a playoff appearance or may not be on the team anymore helped the Crew win games. Here are the forgotten players in Milwaukee's first ever National League Central Division title. Mike McClendon - RP - Sure McClendon made only nine appearances for the Brewers in 2011, sure those appearances added up to only 13.2 innings but he also managed to win three games. Yes, the garbage time righty managed to win one-third of the games he pitched in this year. McClendon gave the Brewers innings when they needed them. Maybe he was on the receiving end of some big comebacks but he pitched scoreless innings and finished his big league season with an ERA of 2.63. When the division is won by six games a reliever with three wins is not to be discarded. 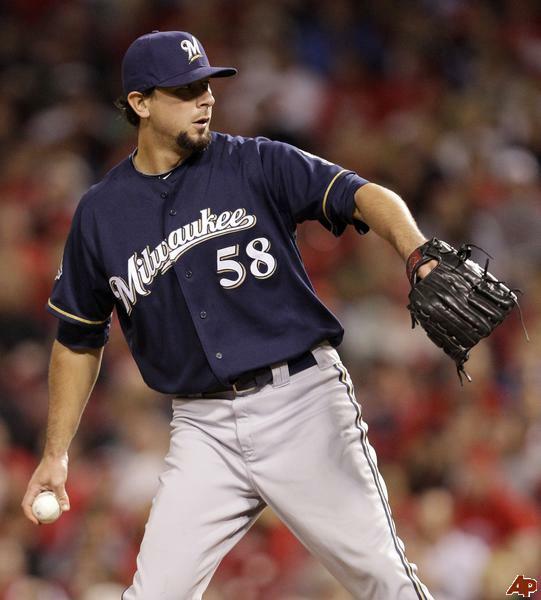 Brandon Boggs - OF - Yea, that was this season that Boggs was a Milwaukee Brewer. It may seem like a long time ago but that's because his last appearance at the big league level was on May 24, over four months ago. Boggs' contributions this year were limited, he had only 19 at-bats and hit just .158. So how, you ask, could a player with such little time on the big league roster have helped them make the postseason? Well I'm glad you asked. Boggs made two starts for Milwaukee this year. In both starts he homered and in both starts the Crew won. Two games, two wins, just ask Boston and Atlanta if one game matters. Wil Nieves - C - This one could be preceded by a deep sigh. Nieves was expected to be the backup catcher, not just for a couple months but for the whole season, a better defender than George Kottaras. His defense was fine, but his offense was absolutely horrendous. Only two of his seven hits went for extra bases, both of which were doubles and neither of which came after April 15. But what Nieves did provide was a body. A filler and spot holder to cover catching duties while starter Jonathan Lucroy recovered from injury. Once Lucroy returned it marked the beginning of the end for Nieves, but he kept the seat warm and filled a need when Milwaukee needed it. Felipe Lopez - 2B - I will admit that I was hoping for big things from Felipe Lopez, maybe a repeat of 2009 with a chance to win the starting shortstop role away from the dreadful Yuniesky Betancourt. That Milwaukee didn't receive that was not all that surprising but what they did get was an acceptable temporary replacement for the injured Rickie Weeks. 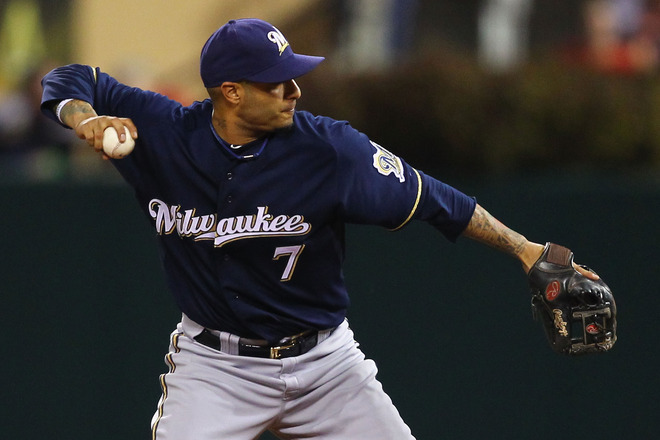 One stat stands out from his time with the Brewers this season, in the 16 games Lopez appeared in Milwaukee went 13-3. Coincidence? Well, yes, almost certainly. But hey, who knows what would have happened had the Brewers not been able to add Lopez as an option. Brandon Kinzler - RP - Here is an example of a player whose contributions were cut short not by lack of production but by injury. Kinzler seemed poised to play a big role in the Crew's bullpen after striking out 15 against only three walks in 14.2 innings. But 2011 was not to be for the surprisingly hard throwing right-hander. An arm injury resulted in screws being placed in his right forearm and he was lost for the season. Kinzler did earn a win for the NL Central champs and his stabilizing influence, albeit fleeting, was important when it happened. Honorable Mentions (aren't they all really?) - Mitch Stetter - RP, Mike Rivera - C, Erick Almonte - UTIL, Sergio Mitre - RP.